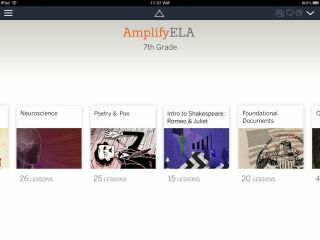 Amplify unveiled its digital curriculum for sixth-, seventh- and eighth-grade English Language Arts (ELA) at SXSWedu. The curriculum for each grade combines a year’s worth of Common Core-aligned lessons, written in collaboration with some of the world’s leading experts and intellectuals, with rich digital media from Academy Award-winning studios and stars of both stage and screen. The curriculum will be available in classrooms at the start of the Fall 2014 school year at an introductory price of $45 per student per year. It includes an e-library stocked with more than 300 works of fiction and nonfiction. To help boost learning outside of class, the curriculum comes with more than 40 digital games from independent game designers. The curriculum is built on top of an education-friendly analytics engine that is designed to help students read three times more and write three times more, as well as to help teachers provide students three times more meaningful feedback. This announcement is part of Amplify’s broader effort to produce K-12 curriculum for English, math and science. In addition to the digital ELA curriculum for sixth, seventh and eighth grades, the company will also offer a hybrid print and digital curriculum for K-5 ELA and supplemental digital curriculum in math and science in time for the start of the Fall 2014 school year.